Brett was born and bred in Kokstad and is an true East Griqualander. He returned to Kokstad in 1992 after doing three years of surgical training. He has a special interest in General and Ears Nose and Throat surgery. Brett also has a passion for rural South Africa and its communities especially in relation to developing healthcare facilities to care for and meet their needs. He is married to Marlene, the pharmacy manager at the Kokstad Private Hospital, who has been his constant support during the development and running of the Kokstad Private Hospital and Kokstad Medical Centre. 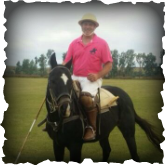 Outside medicine he is passionate about playing polo and interacting with his two children and family. Brett would most definitely be a farmer if he was not a doctor. Deirdre joined the practice in 2005 on a part time basis just as the Kokstad Private Hospital and Kokstad Medical Centre opened its doors for the first time. Prior to moving to East Griqualand she lived in Pretoria where she finished her studies at the University of Pretoria. 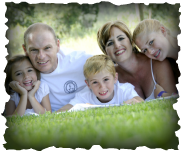 Deirdre did her diploma in Anaesthesiology through Tuks and was set on becoming an anaethetist before deciding to exchange the rat race of Gauteng for the slower rural pace where there is time to spend with husband Andrew and their three kids. Despite anaesthesia being a first love for her, the diversity of practicing medicine in a set up such as this has been very satisfying and stimulating. Her hobbies are hiking with her family, horse riding, running and paddling. Hugo joined the practice in 1997. After living and working in the UK, he and his wife Nicky decided to settle in Kokstad. While here they have been blessed with three children and cherish their ability to remain a family orientated couple. Hugo loves rural life and rural medicine. He has a particular interest in family medicine and enjoys the multidisciplinary exposure that KMC and KPH offers on a daily basis. 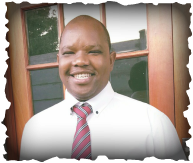 Prior to joining KMC, Hugo did rotations in obstetrics and gynaecology, orthopaedics, emergency medicine, family medicine and has worked in rural Mpumalanga. He is a keen advocate of ongoing medical education and in his spare time reads, interacts with his family, travels and participates in a variety of sport. Phillip Pinga was born in Mthatha into a large family with strong traditional values. He was however raised and educated in Durban. He completed his MBCH at the University of Kwa-Zulu Natal in 2008. He went on to complete his internship and community service at Natalspruit hospital in Johannesburg, after which he obtained a Diploma in Anaesthetics from the College of Medicine of South Africa, through WITS university. He enjoys casualty and theatre, and has immersed himself in the good quality family medicine on offer at the Kokstad Medical Centre. Phillip enjoys the rush of looking after critically ill patients within a team orientated approach. This extravert of a young man enjoyed Toastmasters and a good old South African braai whist in the city of Gold. He however now enjoys exploring the trails around Kokstad. Phillip also holds his family in the Eastern Cape very close to his heart and appreciates the fortune of being closer to home. Malcolm has been a partner of this practice for 30 years. He undertook a four-year rural health rotation at Cecilia Makiwane Hospital in East London before moving to Kokstad in 1988. He has a Diploma in Child Health and has maintained his interest in paediatrics, particularly neonatal care. He has also worked in departments of surgery, obstetrics and gynaecology, and anaesthesiology and continues to be actively involved in these vital aspects of rural healthcare. Malcolm also has a keen interest in diagnostic ultrasound and the application thereof in rural healthcare. Malcolm is a hiking and mountain biking enthusiast and has hiked extensively in the Drakensberg. He is also an avid birder and botanist and has been promoting indigenous gardening at the EG Encounter festival. 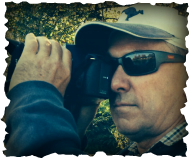 He is a keen photographer and loves promoting the natural beauty of East Griqualand and its people.